16oz. Bell Mugs - Fresh Meadow Green. 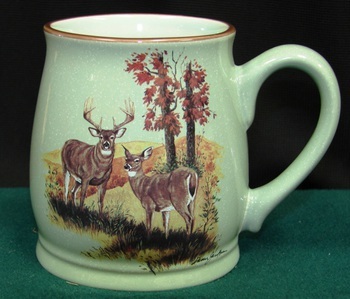 Little white speckles mixed in the the green and a chestnut brown rim makes this mug very unique. This Stylish mug with a wider base and elegance handle is a keeper.